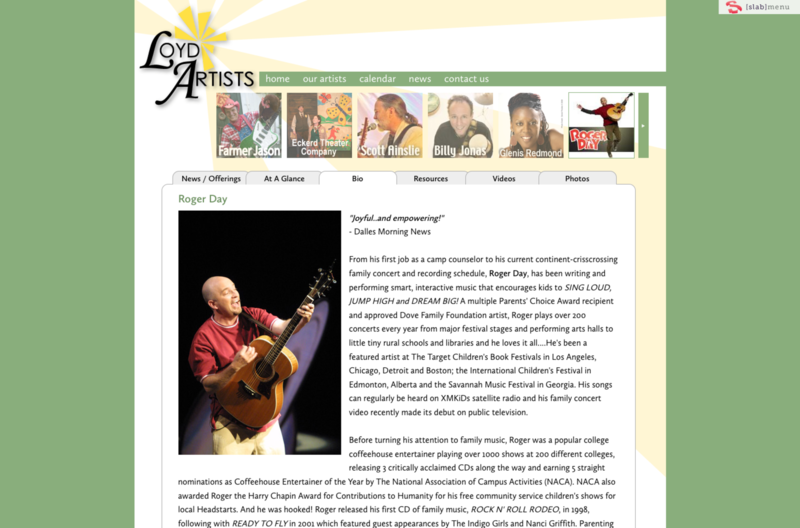 Project: Loyd Artists needed a new site they could use to showcase their artists. They wanted single pages that would combine the artist's info, upcoming schedule, downloadable pictures, and video. We gladly built them this site, that has lots of artist info combined under Artists pages, as well as in individual sections like galleries. Summary: Loyd Artists is an artists management company that manages many different artists.